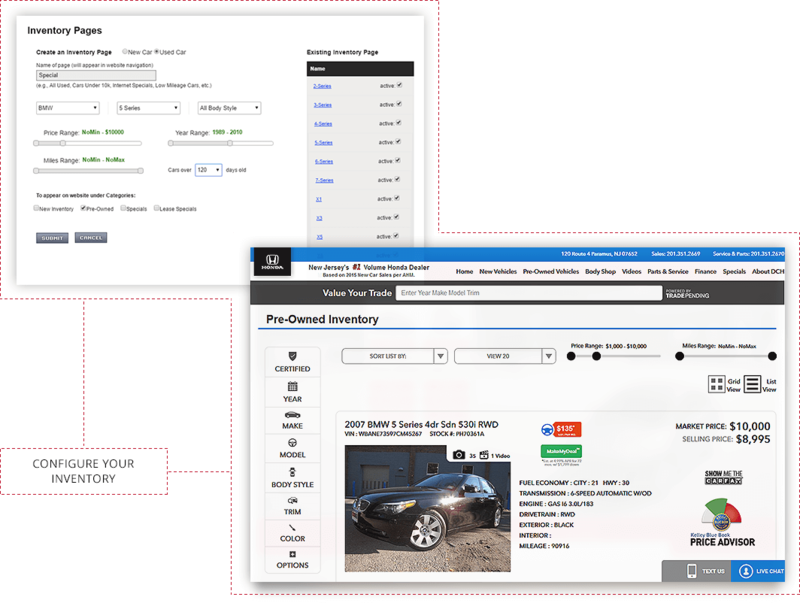 In today’s modern, technology driven world, automotive inventory management tools are vital to the success of your auto dealership. At Potenza Auto Dealer, we offer data driven management tools that will help you track your inventory and effectively forecast sales so that you can implement a proactive purchasing strategy. Armed with the right information, you can make sure that you have the inventory to match customer demands, which ultimately means more conversions. 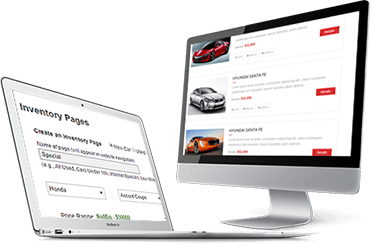 Your potential customers will also enjoy convenient Search Result Pages (SRP) and Vehicle Detail Pages (VDP) that allow them to quickly scan through potential options and view vehicle specifications. By creating a pleasant search experience, you can help generate solid leads and start converting sales with your website. Our dealership customers also enjoy a streamlined dashboard that is easy to navigate. You can quickly view inventory performance statistics and instantly make adjustments to your online marketing and advertising strategies. Automated tools and a wide variety of tracking capabilities allow you to experience a more comprehensive view of your website and inventory performance. You can also make real-time changes that will optimize lead generation and sales across a variety of channels.